Earlier this year, I reported on the forthcoming release of Ubuntu phones. 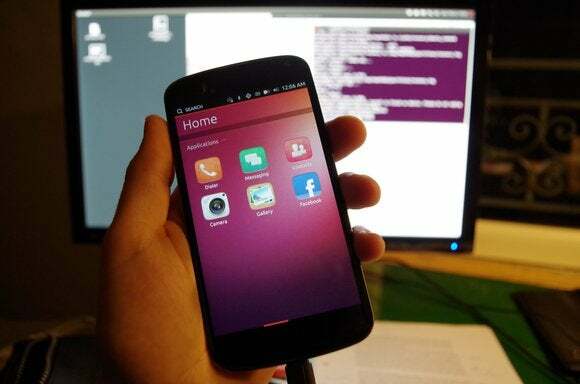 Ubuntu for phones had just hit “release to manufacturer” status and phones were supposed to launch before the end of 2014. Bad news: The phones clearly won’t be here this year. But good news! Canonical told me they’ll be out in early 2015, after a slight delay to clean up some lingering interface and manufacturing snags. Cristian Parrino, Canonical’s VP of mobile, told me that both Meizu and Bq are still onboard to manufacture Ubuntu Phones for the launch. There’s been some speculation that Bq at least was less interested after a big Bq press conference came and went with no mention of Ubuntu phone. “Canonical continues to work closely with its first selected hardware partners, Meizu and bq, to bring Ubuntu phones to market in Europe and China,” he told me. Meizu will cover China, while Bq will cover Europe. It’s unclear how customers in the rest of the world will get their hands on such devices, although Canonical recently signed a “strategic agreement” with Meizu. OMG! Ubuntu! 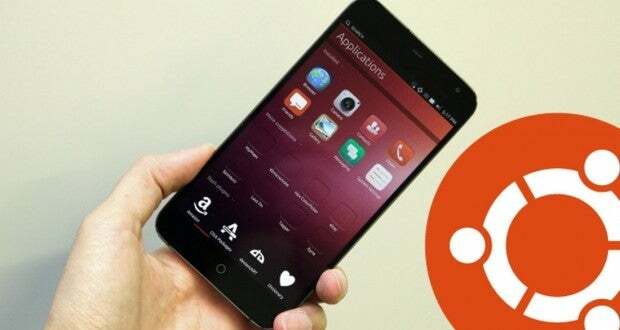 reports it was privately told the deal with Meizu will allow Canonical to distribute Meizu-produced Ubuntu phones to customers in the USA and elsewhere via online sales channels. So, if you’re not in China or Europe, you should be able to order an Ubuntu phone online (assuming OMG! Ubuntu’s report proves accurate). There seems to be no single cause for the delay. One factor, Parrino says, is that “Ubuntu for phones will be introducing a brand new way for users to interact with their devices—and through constant user testing, we want to make sure that the initial experience is just right.” This mirrors other reports I’ve heard from people who spent more time testing the initial RTM builds of Ubuntu phone. Apparently, the first RTM builds weren’t really finished enough to be considered stable. The software needed more time and bug fixes, and Ubuntu’s been working on that. But, presumably, those RTM builds have allowed Bq and Meizu to get some hands-on time with the software and begin testing it on their devices. The Meizu MX4 Ubuntu phone. Parrino also said that “partner-side supply chain considerations—availability of specific hardware components for the device, such as screens, hasn’t lined up perfectly with our initially aspired timelines.” This is quite interesting, as it initially seemed the Ubuntu devices would be versions of existing Android devices with Ubuntu slapped on them instead. We’ll hopefully see phone hardware designed more specifically for Ubuntu. So, when can I get my hands on one? Parrino says Canonical “will be announcing the imminent availability of the first Ubuntu phones early next year.” So just hold on tight; Ubuntu phones are coming, and we should be hearing more soon. If you’ve been following Ubuntu phone, it’s not great to hear about yet another delay. These phones were originally supposed to be released in early 2014, and then before the end of 2014, and now sometime in early 2015. Canonical clearly underestimated the difficulties of launching a product in the mobile market and needed more time. But, it could be worse: Ubuntu Phone should hopefully be good and stable when it’s released. It does seem like the phones are closer to being released now, though. OMG! Ubuntu! is even reporting that a Bq Ubuntu phone will be released in Europe in February. Hopefully I’ll be able to get my hands on one of these Ubuntu phones soon. Unfortunately, the most interesting “convergence” features won’t arrive with the first Ubuntu phones. Unity 8 and Mir just aren’t ready for desktop prime time yet, so we’ll have some waiting to do even after we get the hardware. The Ubuntu desktop has seen few changes this past year as Canonical focuses all their effort on Ubuntu phones and desktop convergence, so we’re all itching for some new developments. Now for the lingering question: Where are those Ubuntu TVs and tablets?